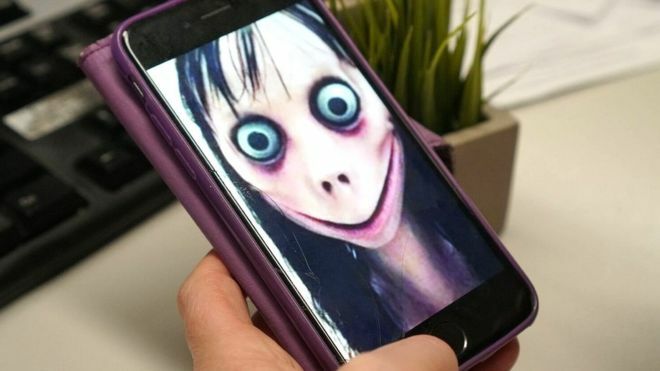 Read more about the UK charities which have called the "Momo Challenge" a hoax. is this some blue whale challenge that results in the last step being suicide? there are some sick things people follow these days. Sadly your basically spot on. Blue whale came first, now its Momo....seriously what is wrong with people. Better question is why would anyone believe that you have to follow what someone on the internet tells you. Kids need to be taught that no one can tell you to do something you don't want to. A new challenge should be issued that many should start doing, Be normal and not a nutjob. Yeah that's more or less the tone of the meeting at my little sisters school, they claimed children had cut off their hair and stuff as a result of it, not sure any of that is actually verified. And I thought licking a 9v battery was bad enough. don´t know what all the fuzz is about .... looks like every other millennial.